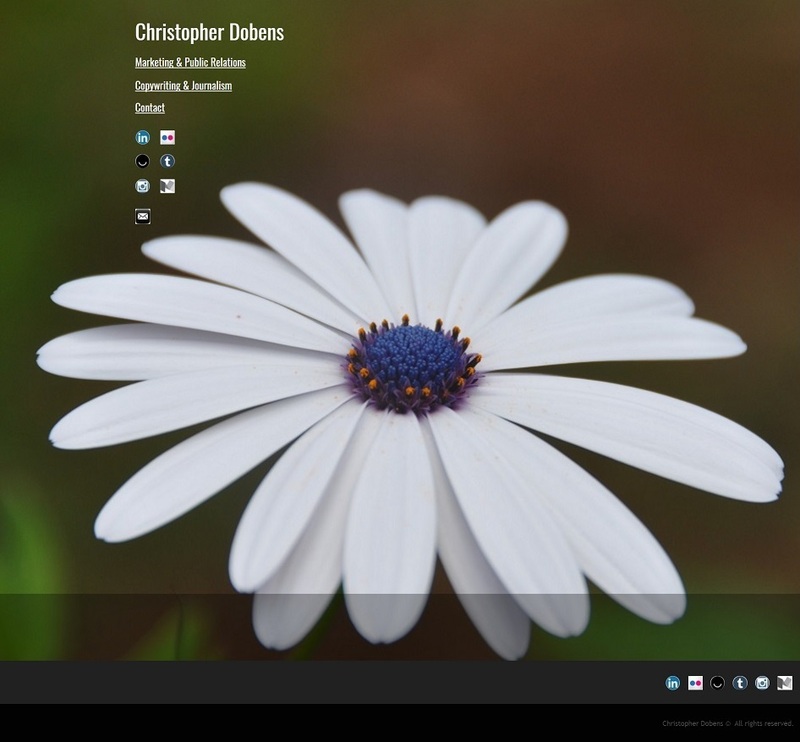 In celebration of May’s flowers, I updated the background on my web portal: Dobens.com. It’s a photo of a wildflower I took on Rapa Nui (that’s Easter Island to you, Jacob Roggeveen) years ago, and I thought it was worth sharing. For those curious, I had to shift around the positioning of the text, and replicate the social media buttons for the mobile version, but I think it still looks sharp. I created the page using GoDaddy’s web development platform, just to experiment with it. And I typically rotate the page’s background image every season, because I’m all about the details. May your May be as beautiful!